We are a team of blockchain Technology Specialists. We acquire, advise, research and develop blockchain technologies. Interested in the next-generation of distributed data storage solutions and protocols like Arweave, SWARM, and IPFS? We can help you design and build the perfect solution saving you time and money while keeping your clients happy and bringing in new ones. 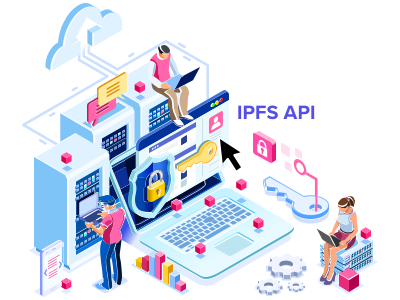 Leveraging new protocols like IPFS, we are designing a first of its kind peer-to-peer data archiving solution that is adaptable, extensible, and secure. Looking for someone to design the perfect smart contract for you? Our experienced solidity developer(s) we can create gas efficient smart contracts that satisfy your business needs. Looking to make a DApp, integrate with IPFS, or one of the many blockchains out there? Leveraging our talented team that have been in the industry since the very beginning, we can help you design, and research the right technology stack to fulfill your business needs. 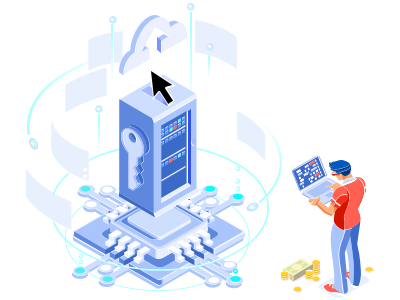 We also offer Blockchain consultation services, that can be used to fact check information given to you by other companies, and help you finalize ideas. Temporal is a first-of-its-kind open-source API for distributed data storage solutions that can be easily integrated into any existing application stack, quickly and safely scaling projects with turnkey IPFS tools. Helping users and enterprises manage data as they migrate to Web 3.0. And it’s easy to see why: it’s safer and cheaper. Based out of Vancouver, British Columbia, Canada the RTrade team shares a common understanding of the fundamentals of P2P technology and the potential this technology has to improve our lives. RTrade is comprised of experts in finance, technology, business, security and the Internet of Things (IoT). Diversity and experience are our greatest strengths, and we are devoted to helping shape the future of technology so that all of humanity can grow, connect and learn together. Are you a talented developer, marketing wizard, or a sales professional? We’re looking for the best and brightest minds to join both our core development and operations teams as we are rapidly expanding. For business and service inquiries, please feel free to contact us! Copyright © RTrade Technologies 2019. All Rights Reserved.